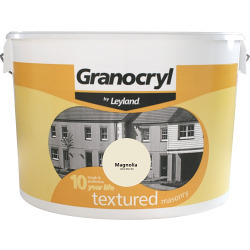 A High Quality Masonry Paint : - for use on exterior brickwork, concrete, rendering, pebbledash and other similar masonry surfaces. It has excellent covering power and flexibility, providing a durable and weather resistant finish. 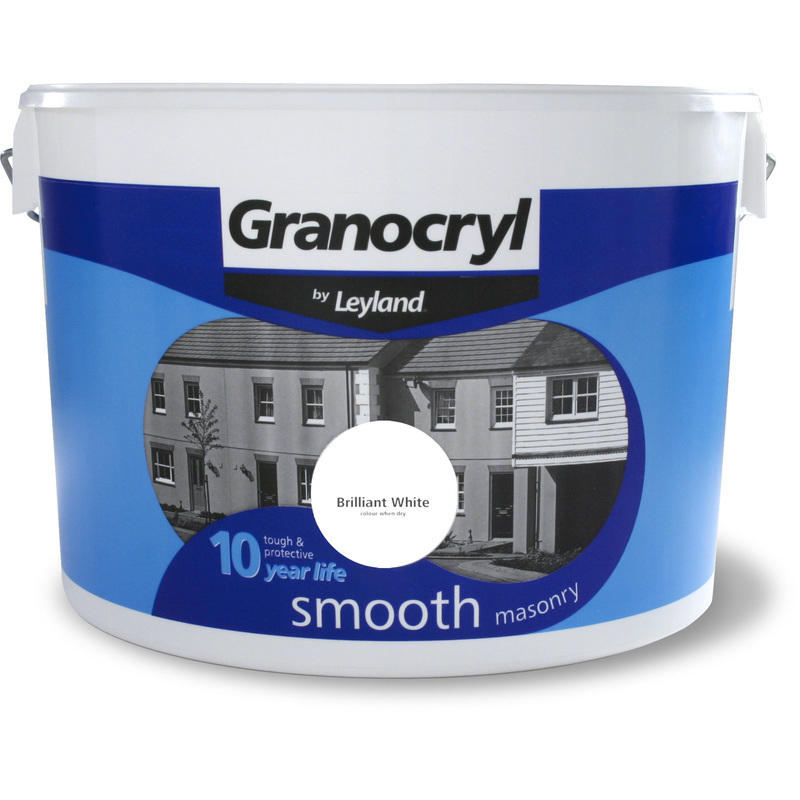 This product will last up to 10 years and has a coverage rate of 10 square meters per litre (depending on the nature and porosity of the surface). All surfaces must be sound, clean, dry and free from greese. If mould or algae are present, treat with Fungicidal wash, remove with a scraper of stiff brush, then treat the surface again with Fungicidal Wash. Any lime wash, distemper or flaking paint should be completely removed. 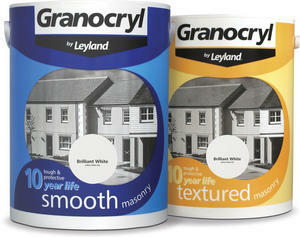 Chalky underbound surfaces should be dry brushed and treated with Stabilising solution as directed. Stir well before use. Apply paint evenly by brush, roler or paint pad and avoid overspreading. Two coats will normally give a satisfactory finish depending on the nature of the substrate. Ensure good ventilation during application and drying. Do not apply in tempratures below 10°C, or when rain is imminent. Approximately 10 sq metres per litre, depending on the nature and porosity of the surface. Strong or contrasting colours may require additional coats. Touch dry in 1-2 hours under normal conditions. If required apply a second coat after4-6 hours.